The National Sailing Academy invite you to their family friendly OPEN DAY on December 2nd in English Harbour. During this FREE event youth and adults can discover sailing & swimming throughout the afternoon with qualified instructors. Food & drink will also be available for purchase. The National Sailing Academy offers the opportunity for Antiguan school children to learn sailing free of charge. In 2010 the Government of Antigua & Barbuda added sailing & swimming to the list of National Sports thus allowing these sports to be included in every school’s curriculum. To facilitate this the National Sailing Academy was incorporated as an independent non-profit charitable organization which is administered by a volunteer board. The potential benefits of this programme are manifold – to both the Antiguan community and the Yachting Industry, which is growing year by year. 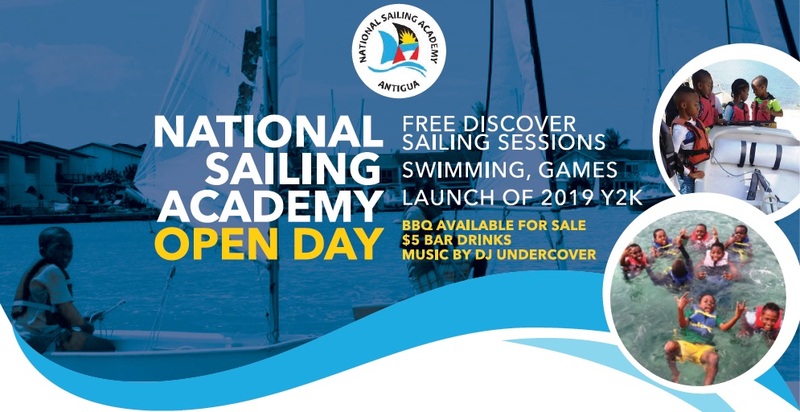 Click here to learn more about the National Sailing Academy and its endeavor to expose more Antiguan youth to the sport of sailing.